With your help, we can support the needs of every patient who comes through our doors. 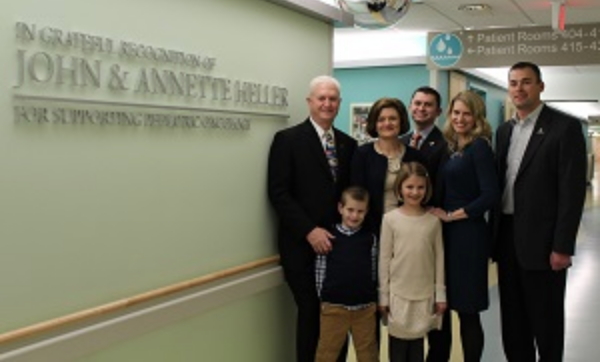 Mike and Amy Moeller family makes generous gift to support the Alton Cancer Center. Hilten will support the OSF HealthCare Ministry in Galesburg, Monmouth and surrounding communities. Why Give to OSF HealthCare? We are here for you! OSF HealthCare comprises 13 hospitals and another 105 health care facilities across Illinois and Michigan, two colleges of nursing, the OSF Children’s Hospital of Illinois, the OSF Illinois Neurological Institute, Jump Trading Simulation and Education Center and much more. The OSF HealthCare Foundation supports all of these efforts through your generous help. Together, we improve our hospitals and clinics, provide our doctors and nurses with advanced equipment and innovate the best ways to make this care a reality. Until now, you’ve likely only heard half the story about pediatric cancer. Today, children have an 80% chance of beating pediatric cancer, but that’s where their story ends. This is where the Heller Center comes in, providing psycho-emotional care for children as they navigate life after cancer. What would you give to have a world-class comprehensive cancer center right here, right now? 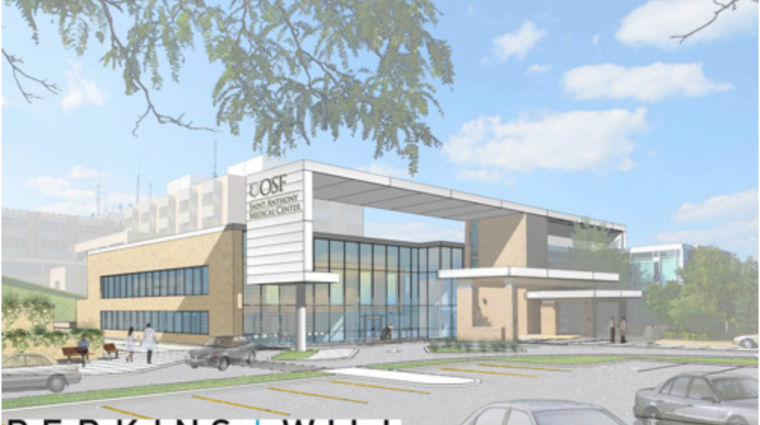 Help us build a destination-worthy comprehensive cancer center to Central Illinois. This new cancer center will offer a wide range of specialties, supportive services and newer technologies than ever before. Only the third of its kind in the nation, Almost Home Kids in Peoria will provide transitional and respite care for children with complex medical conditions. 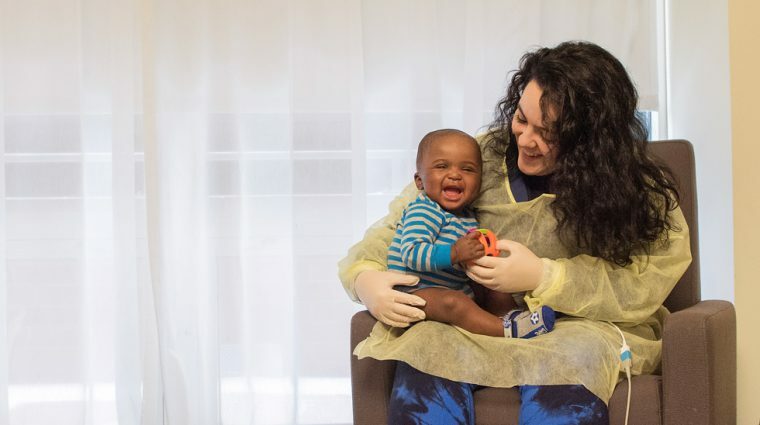 In a comforting home-like setting, children receive 24-hour medical and nursing support from skilled pediatric nurses.